On Sunday evening in Kiev, participants in the conference on the new trade unions and the democratic left were invited to participate in the first-ever LabourStart rock concert. The band is a popular Russian socialist rock band known as Arkady Kos — which as named, as I’m sure you’re all aware, after the man who did the Russian translation of “The Internationale”. 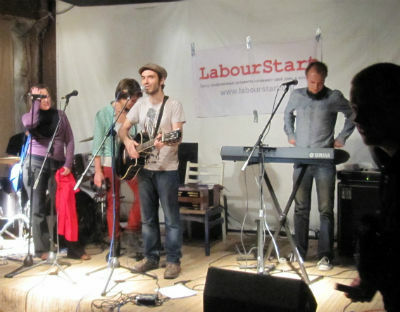 It’s not every day that LabourStart gets asked to sponsor a concert and we were delighted to do so.